Welcome to Pomorie in Sunny Beach. 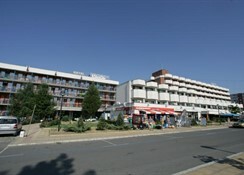 The hotel is located 50 m from the sandy beach. To make your stay more comfortable a mini market, a lobby, an elevator, a hairdresser and a reception are available. The staff in this 6 storey hotel speaks English and German. An entertainment program for children is available. A fresh water swimming pool, seasonally open with an integrated children's pool is available. A poolside bar is on site at the hotel where guests can unwind with a drink. Sunshades and sunbeds are available for an additional fee at the beach and free of charge at the pool. 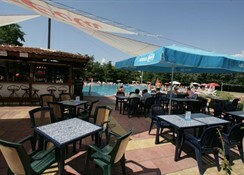 Accessible from the hotel: train station (35 km), airport BOJ (30 km), disco (50 m), Nessebar (3 km) and Aquapark (5 km). 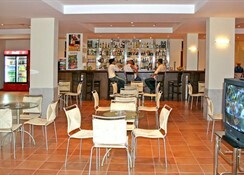 The hotel is within easy reach of taxi stands, supermarkets, tourist information, bus stops and bars and restaurants. 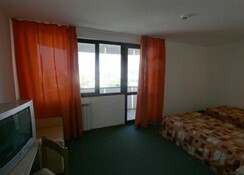 For convenience the hotel offers medical care, laundry service, currency exchange and a safe. Internet access is provided at internet terminals. This family friendly hotel offers a kindergarden, child animation and a child club to ensure a comfortable stay for parents as well as young guests. The breakfast type is Buffet and it is provided from 07:30 - 10:00. The hotel has one restaurant. A snack bar is also available throughout the day. Evenings can be spent at the lobby bar. Activities such as billiards, darts, animation programmes and table tennis are offered at the hotel. 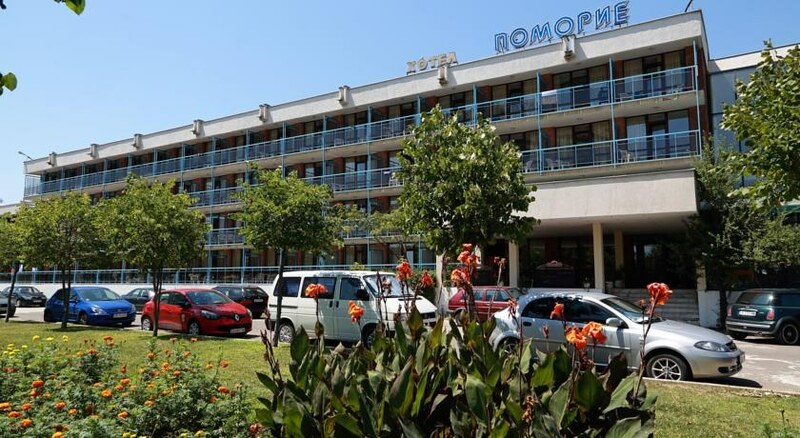 At Pomorie recreational amenities include massages. Guests who wish to be active on holiday can enjoy activities such as volleyball and aerobics. The hotel offers the following , for guests to enjoy (weather and season permitting): evening shows. Staff at the hotel are rude, just blantetly ignore you when you are talking. Wouldn't help me find a police station when I was attacked by a local for refusing to pay 40 Lev for 2 strawberry smoothies.. the locals will try rip you off so research prices before you go.